Before this movie I didn't know that "Bathtubs" exist in America. It's so unusual to think of a helpless Americans (although they're depicted everywhere in the movies/news) but the reality is there. This indie film screams of indieness and I LOVE IT. haha. 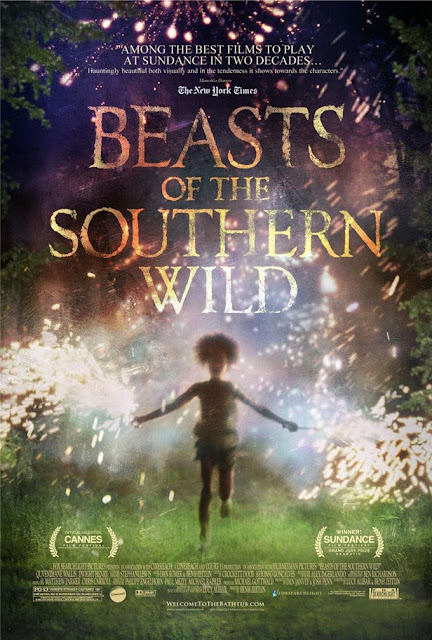 The characters, the story, the dialogues, the cinematic effects. 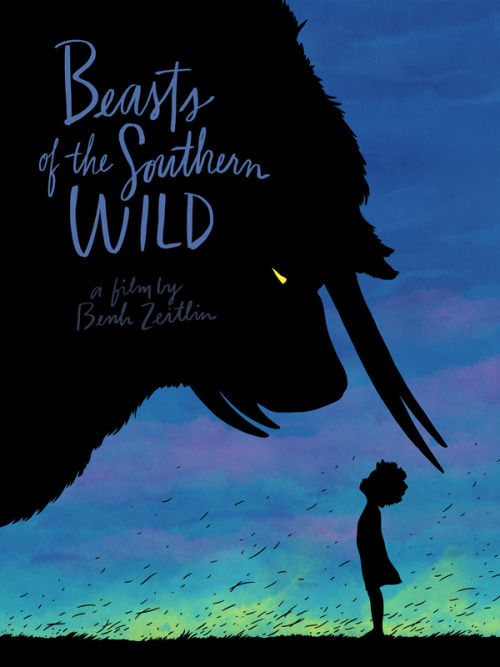 I like this minimalist version of the poster. 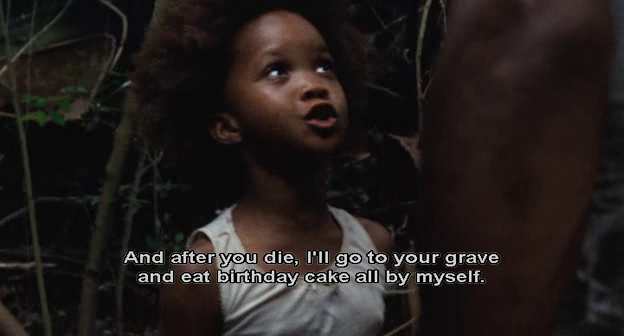 And this kid, Quvenzhané Wallis, who plays 6-year-old Hushpuppy is so adorable! She's also nominated as Best Actress in the upcoming Oscar Awards, the youngest one to be nominated so far. This kid has a long waaay to go in the biz. Provided she don't go the Lindsay Lohan road. hee.